BuzzBuilder has all the latest technologies without all the clutter and complexity. We work hard to make sure our system is easy to use. In fact, most new users are up and running in less than an hour with minimal training. Our apologies to those of you who like doing things the hard way. At BuzzBuilder, we know that 80% of sales are made after the fifth attempt but unfortunately most salespeople lose touch with people long before this. What if you could automatically send follow-up emails to prospects who don’t respond to your initial message? Now you can. We make it easy to create follow-ups that are sent if there is no reply within a pre-determined time frame. With other email systems, you can only send out a single “blast email,” which is rarely enough to get someone’s attention. BuzzBuilder also makes it easy to create highly personalized emails that look like a one-to-one email instead of a mass marketing message. As a result, you’ll see higher open rates, more responses, and better lead conversion. To make your emails even more effective, we don’t stamp our logo at the bottom of your messages (like traditional email marketing providers), and we’re one of the few solutions that will allow you to email a purchased lead list. Every day, potential buyers land on your website and then leave forever. 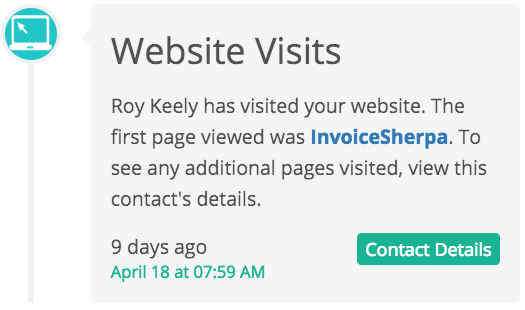 And while most website tracking tools can tell you how many visitors came to your site, they aren’t able to tell you exactly who these visitors were… until now. BuzzBuilder’s powerful website tracking tools can tell you which specific people visited your site (not just which companies did), as well as which pages they viewed and how long they viewed each page. It will even alert the appropriate Sales Rep the moment a prospect returns to your website so you can follow up. 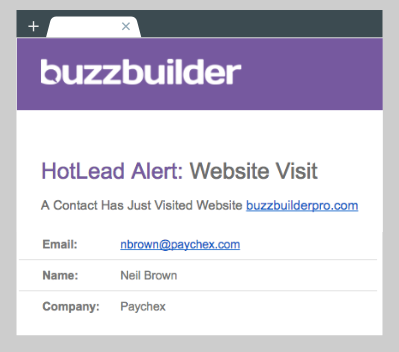 Thanks to BuzzBuilder’s Visitor Tracking, you’ll be able to capture more web leads–even if the visitor didn’t fill out a contact form. We know that the “fortune is in the follow-up.” Every day BuzzBuilder will create a follow-up list of the prospects you need to call. 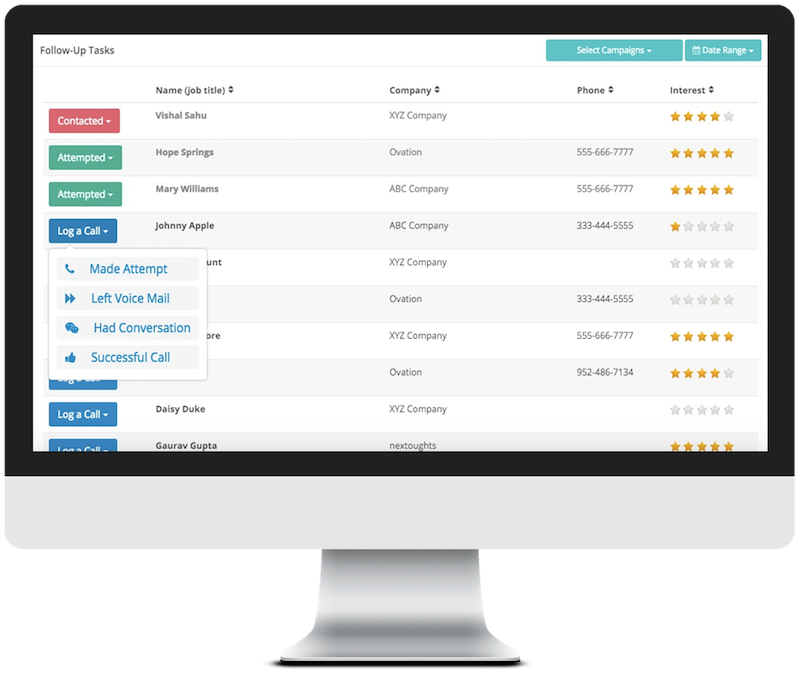 Even better, our Lead Scoring system will rank your prospects and sort your list based on who is most interested in speaking with you. Then, as you make contact with prospects, they will automatically be removed from your list, BuzzBuilder will create a note in their file, and it will even schedule your next follow-up call–all with a single mouse click! 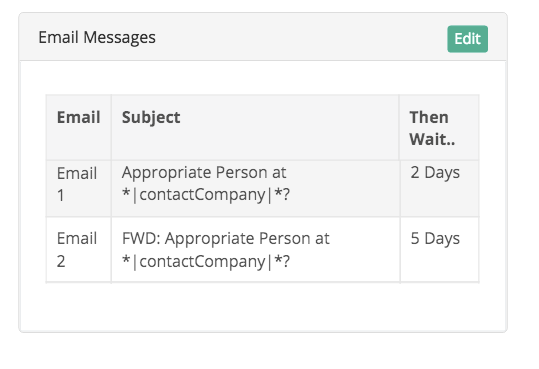 This makes it super-simple to manage your follow-up efforts with minimal data entry. At a glance, you can see which contacts have opened your emails, clicked on relevant links, opened attachments, or forwarded your messages to colleagues. Managers can also see if Reps are actively following up with HotLeads™ and what their overall conversion rate is. This information is also essential to Marketing Managers who want to understand the behaviors and “hot buttons” of their prospects and clients. For example, you may want to test different value propositions in a series of email messages to see what draws the most interest. The reason that sales is so difficult is because we’re usually contacting prospects at the wrong time. But what if you could be notified the moment a prospect showed interest and was available to chat? BuzzBuilder will send you instant notifications whenever someone opens your messages, forwards them, visits your website or reads an attachment. It will even tell you when the person is reading your email from a desktop computer (vs. a phone or tablet) and is available for a call. Statistics have shown that when Reps follow-up on these alerts within 5 minutes, they are 3X more likely to reach the decision maker and secure an appointment. BuzzBuilder users spend less time chasing prospects and more time engaging in conversations with them. 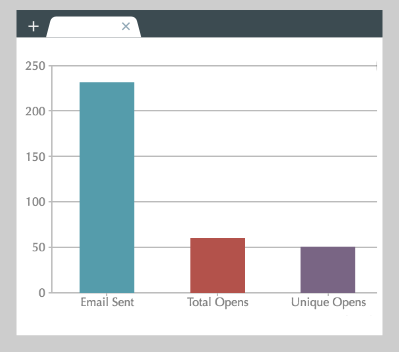 Track open rates, clickthroughs, bounced emails, conversations, and more. Send campaigns via your Outlook or Gmail account or use our powerful email servers to send higher volumes. Need help? Our Campaign Managers can take over the day-to-day administration of your account. Rely on our proven email templates to maximize email opens and replies. Automatically rank your prospects based on interest level and focus on your best leads. Creating personalized emails is as easy as writing a Microsoft Word document. Store contact data, keep notes on each prospect, and view your communication timeline. Contacts who reply to your emails are automatically removed from campaigns.